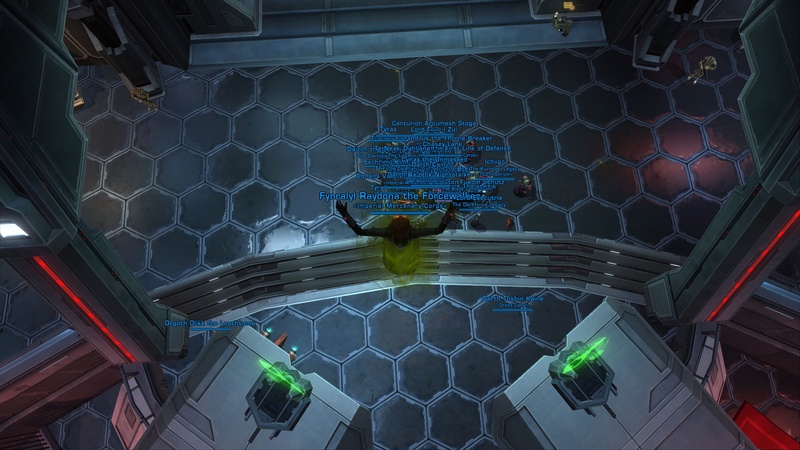 I’ve taken the SWTOR Server Transfer Plunge– Have You? Yesterday, like many other Star Wars: the Old Republic players, I packed up my pixels and moved to new servers for my PvP and RP server characters. Make sure you’ve let all your GTN auctions expire, and have picked them up from the mailbox. Make sure you’ve pulled out everything you want to keep that’s currently in your mailbox. If you are a guild leader, you will have to disband the guild before you can transfer — and will need to have cleaned out your guild bank beforehand as well. For more tips and answers to any questions you may have, check out the Server Transfers FAQs. I also have some resources for folks who need inspirations for picking new names for themselves (scroll down midway), or for thinking up a clever new name for their reformed guild. Personally, I’m pretty happy overall with how the transfers have gone. I am happy there weren’t minimum levels for transferring characters, or caps to how much of the stuff you’ve collected that you were allowed to bring with you. I was impressed that all my items and my credits were right where I left them when I logged in to the new servers. And most of all, it was great to be standing around on fleet with 250+ people across factions on each of my two new servers. Not too shabby! How about you? Have you done your server transfer yet?